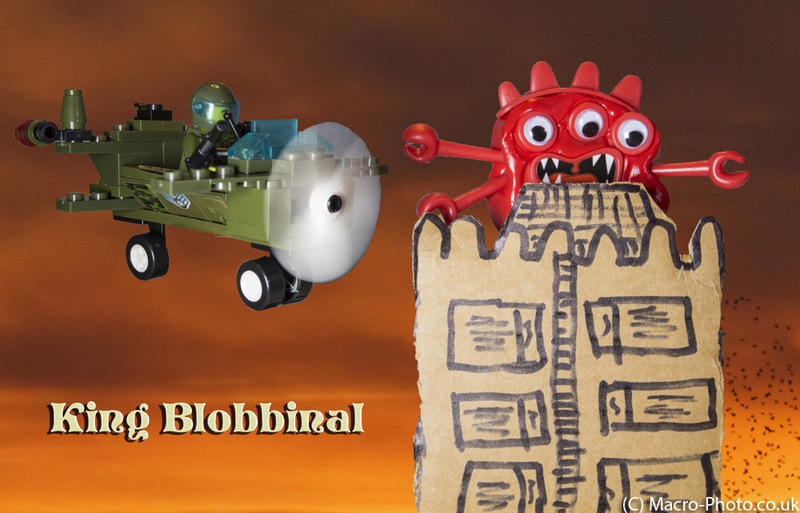 This is my attempt at recreating the King Kong iconic scene, using a Blobbinal and some block action figure and plane. King Blobbinal on the Empire State. Taken on Canon 650D with Canon 17-40mm USM L Lens. F8 1/13 Second for the model parts of the image. 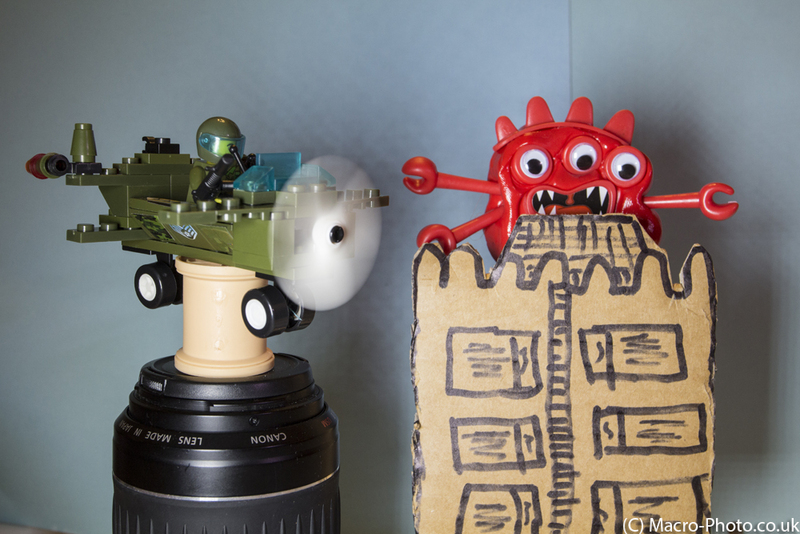 I took this by placing the plane on my 100mm Macro lens with a cotton real to support it. The image below show the model setup for anyone interested. The light was provided by my new Apurture Amaran LED light. I then selected the models and put them on a new layer in photoshop using the quickmask tool. The background is an recent sky shot I took over the Christmas period. The dots that I think look a bit like falling rubble are in fact a flock of starlings.